The Bestmed Chokka Trail route follows the shoreline from the Cape St Francis Resort to Mostertshoek past the Seal Point Lighthouse. 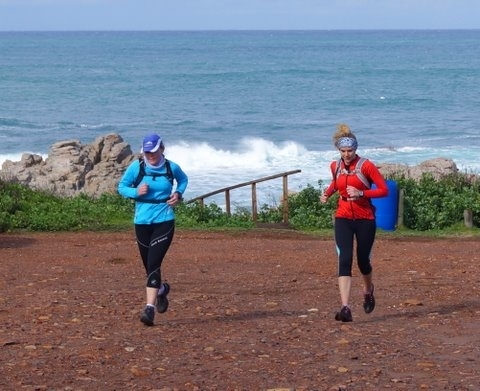 From the last house in Mostertshoek turn up the road (away from the shoreline) and into the Eskom Nature Reserve, where the 62km and 42km runners will continue through the coastal thicket and forest to Dune Ridge Country House. At Duneridge Country House the 62km runners continue through the Eskom Nature Reserve to Thysbaai and Oyster Bay. The Eskom sliding gate, at around 30km, will serve as a cut off point (time to be decided by the Race Director on race day, taking weather conditions into account). They then will tackle the 16km dunes of the Sand River back to Dune Ridge Country House, and down to the Mostertshoek Road. However, at Duneridge Country House the 42km runners will continue on the dirt road before they turn into the Sand River for a short 6km of dunes. They will then run pass the Duneridge waterpoint again, before they turn back to the Mostershoek Road, and meet the 23km runners at the sliding gate on the R330 into St Francis Field. All distances will have to check in to the Dirk Ellis Waterpoint at Port St Francis before they can continue via Shark Point back to the Resort. There will be well stocked water points at each 5km interval although the 62km runners will have to prepare themselves for two unsupported 15km stretches – between Dune Ridge Country House and the waterpoint at the Eskom gate, and again between the sliding gate and Dune Ridge Country House, this time on the Sand River section. The 42km runners will have an unsupported 12km between the Duneridge waterpoint. 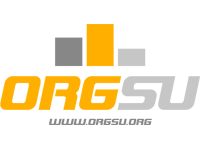 The route will be well marked and 62km and 42km runners will receive Strava data for a large portion of the race and must download the ORGSU tracking app. Although there will be well stocked waterpoints, each runner must carry at least 1l water, a head lamp, space blanket and whissle. The event is organised by St Francis Sport and 3 fun races will be in aid of the Aurora Rehabilitation Centre in Port Elizabeth. 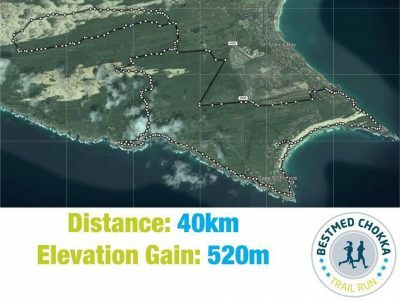 The second annual Bestmed Chokka Trail Run will take place on Saturday 5 and Sunday 6 August 2017, organised by St Francis Sport and hosted by the Cape St Francis Resort. Make sure you get your entry in as a late registrations fee will be applicable on race weekend. On Saturday afternoon, 5 August the u/12’s can compete in a 1km and 3 km race. On Sunday, while the older children and parents compete, the Cape St Francis Resort will offer an adventure sport programme for these juniors so parents can run with peace of mind. The main event for Sunday is the Ultra, a 62km distance that will kick off at 05h00. This distance is the only one to include the popular Sand River, the highlight of the Chokka Trail. The 30km distance will start at 7h00, and the 23km and 18km will start at 7h30. Race briefing is 15 minutes prior to the start. 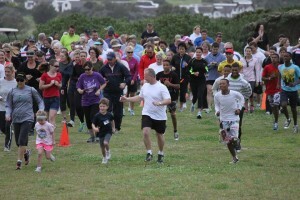 At 11h00 a 5km Family Fun Run will start and finish at the Resort.  This race, as well as the 1&3km races, are in aid of the Aurora Rehabilitation Centre in Port Elizabeth. The staggered starting times will ensure that most runners will be back by midday for the festive prize giving ceremony at 13h00. Walkers are welcome in the 23km and 18km distances. Ultra and 30km runners will have to download the ORGSU App to ensure tracking and check in times at various waterpoints. They can also leave a draw bag at the 15km/45km waterpoint at Duneridge Country House as well as at the 30km waterpoint at the Oyster Bay Beach Lodge. The Cape St Francis Resort offers a crazy weekend special: book 2 nights but pay for 1 at R300 per person sharing, while children under 12 stay for half price. Contact Anita Lennox on reservations@capestfrancisresort.co.za to book, and remember to enquire about the children’s programme for Sunday. Registration and number collection will be at Joe Fish Restaurant, Cape St Francis Resort. 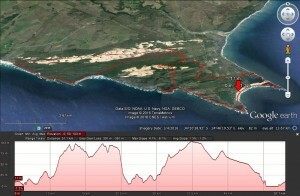 Ultra 62km: Saturday 16h00 – 20h00 only. No late entries on Sunday. Late entry fee applies. 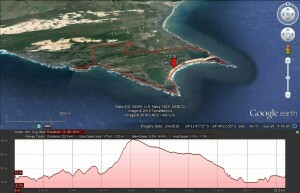 30km, 23km, 18km: Saturday 16h00 – 20h00. Sunday from 06h00 – 07h00. Late entry applies. Online Entries are open till Saturday 5 August 12h00. Make sure you register first before you choose your race. In the event that you battle to enter online between Friday and Saturday, kindly email info@stfrancissport.co.za before Saturday 5 August at 12h00 and you will not have to pay the late entry fee. Join St Francis parkrun every Saturday at 08:00 at the St Francis Links – parkrun is a free, timed 5km run or walk, open to everybody. 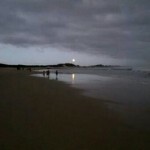 Every month, on full moon, a fun 5km run or walk will be held from the Cape St Francis Resort at 19h00 from 19h30. Free entry! 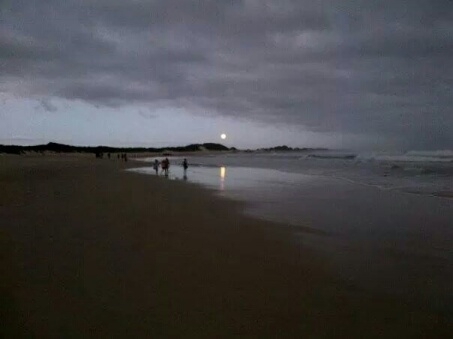 Read also: First Full Moon Run great success!